super duper pretty and sweet. love the wall with the different frames. i also have that ikea love seat in navy in our guest bed. 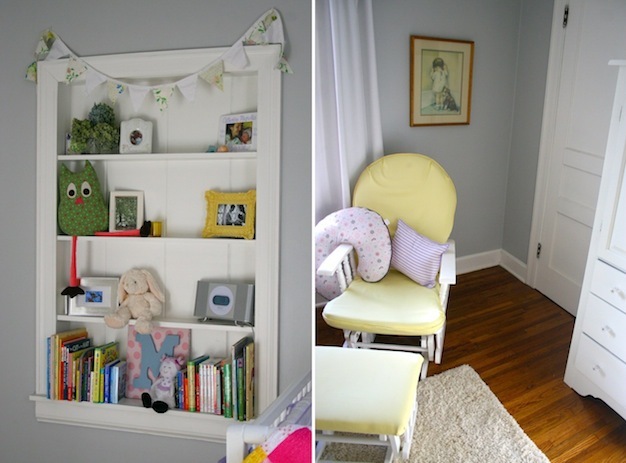 it's so perfect for a nursery! Cute! 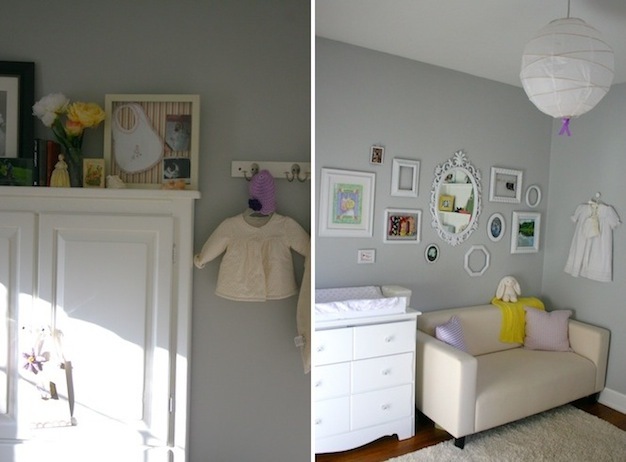 I love the wall of frames and I adore the lavender colors. Great job! it is so darling! that love seat is super cute! what colour are the walls? loove it :) so precious. I have that picture with the girl in the corner with the dog!! I had it in my bedroom when I as a little girl . haha awesome. It looks so cute. Love the soft colors!! Wow you did such an amazing job! I love the colors lavender and yellow together. I did lavender, yellow, and celery green for my little girl's first birthday party. I can't wait to see more of you pictures!! so cute! and I love the little built in shelves! It's gorgeous! I love the mix of lavendar and yellow! It so warm and welcoming. Your picture wall is fabulous! How cute, colorful and darling...I love it!!! 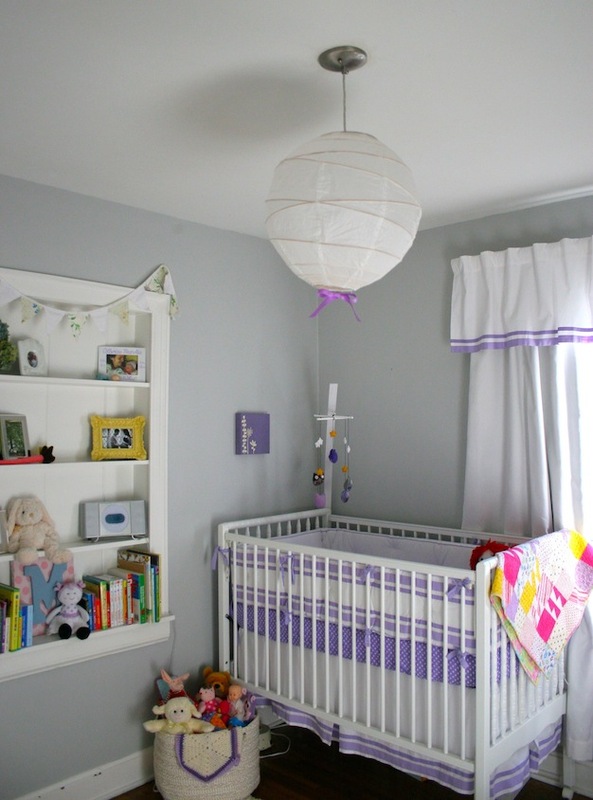 That little couch is lovely in there and all the frames are wonderful with a paper lantern light...well done!!! i adore the white frames wall with the mirror in the center. the built-in bookshelf is gorgeous. this is such a pretty space! So sweet! You have such a creative eye! so so pretty. great job!